As with children, dogs can be expensive members of the family, and it can be hard to give them the best care and attention they need. As a way of providing a little bit of a reprieve, why not consider making your own dog treats as opposed to spending your paycheck on overpriced stuff from the pet store? Even better, if your vet okays it and your dog likes it, you can try using Manuka honey as an ingredient. Fortunately, for pet owners, these Manuka honey peanut butter dog treats are both easy and cheap to make. While you should certainly be mindful of how many you give your dog (as you should with any type of dog treat), a respectable amount can lead to some seriously happy canines. 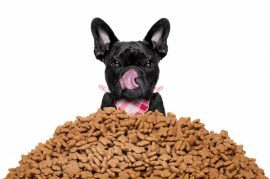 So, if you think this is the type of treat your dog might enjoy and can handle, let’s get started on those Manuka honey peanut butter dog treats! Note: Standing mixers with a paddle attachment may be the better choice for these treats, as mixing the dough by hand can take much longer. Preheat your oven to 350 degrees Fahrenheit on the Bake setting. Add all of your ingredients to a mixing bowl. If you have a standing mixer available, set it to low and mix everything together to form the dough, which will admittedly take a while. After setting up a slightly floured surface, roll your dough out to a roughly 1/8-inch thickness. Use your preferred type of cookie cutter to cut the treats out, repeating until you use all of the dough. Note: If your dough begins to dry out, get your hands wet and knead it until it’s back to the right consistency again. Set the treats on a nonstick pan before baking for roughly 25 minutes or until the edges have browned. Start watching them around 20 minutes, as cookie thickness and oven strength can vary. Let the treats cool for about two hours. The end product will be a bit crunchy, so if your dogs require softer treats, consider sprinkling some water on them beforehand. Need to order some Manuka honey to make these tasty treats for your dog? Click here to get your order started and remember, we offer FREE shipping on all orders of $150 or more. Reality Star Aisha Jade Says Manuka All the Way!Don’t Be Fooled by Fraudulent Raw Honey!